Michael Odei Erdiaw-Kwasie is a development policy planner and award-winning author, whose research on development planning issues, applied sociology, social policy and evaluation, Third Sector Development, and digital futures, is driving better policy outcomes in Australia and internationally. 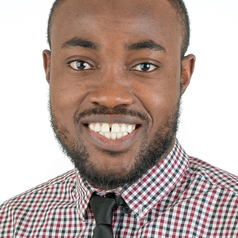 Michael Odei Erdiaw-Kwasie holds a PhD in Policy Planning and Governance from University of Southern Queensland in Australia, Bachelor degree (First Class Honours) in Development Planning from Kwame Nkrumah University of Science & Technology in Ghana, and Honor Code Certificate of Achievements in Data Science from Harvard University in USA. Reimaging socio-spatial planning: Towards a synthesis between sense of place and social sustainability approaches., Planning Theory, DOI: 10.1177/1473095217736793. Towards understanding stakeholder salience transition and relational approach to better corporate social responsibility: A case for a proposed model in practice, Journal of Business Ethics, 144, 85-101. Corporate minerals and community development dilemma in the Surat Resource Region, Australia: Implications for resource policy planning., Environmental Science and Policy, 77, 122-129. Urbanization in Ghana: Insights and Implications for Urban Governance., In: Benna, U. G. & Garba, S. B. (Eds.) Population Growth and Rapid Urbanization in the Developing World. IGI Global Publishers, Pennsylvania – USA. Africa’s urbanization: Implications for sustainable development., Cities, (47), 62-72. Rethinking sustainable development within the framework of poverty and urbanization in developing countries., Environmental Development, (13), pp.18–32. Theoretical and Practical Motives for Participation Obstacles in Resettlement Programs. Review from the Mining Perspective., Journal of Economics and Sustainable Development, 5(14), 119-128. Impacts of Mining on the Natural Environment and Wellbeing of Mining-Fringe Communities in Prestea - Ghana., Greener Journal of Social Sciences, vol. 4 (3), pp. 108-122. Gender and labour force inequality in small-scale gold mining in Ghana., International Journal of Research Economics and Business Management, 1(1), 285- 295.